Give a name to your About Us page. Select the template “About Us”. Choose whether or not you want your page to display a slider by ticking the appropriate box on the bottom. Above we have assigned the “About Us” template for About Us page. 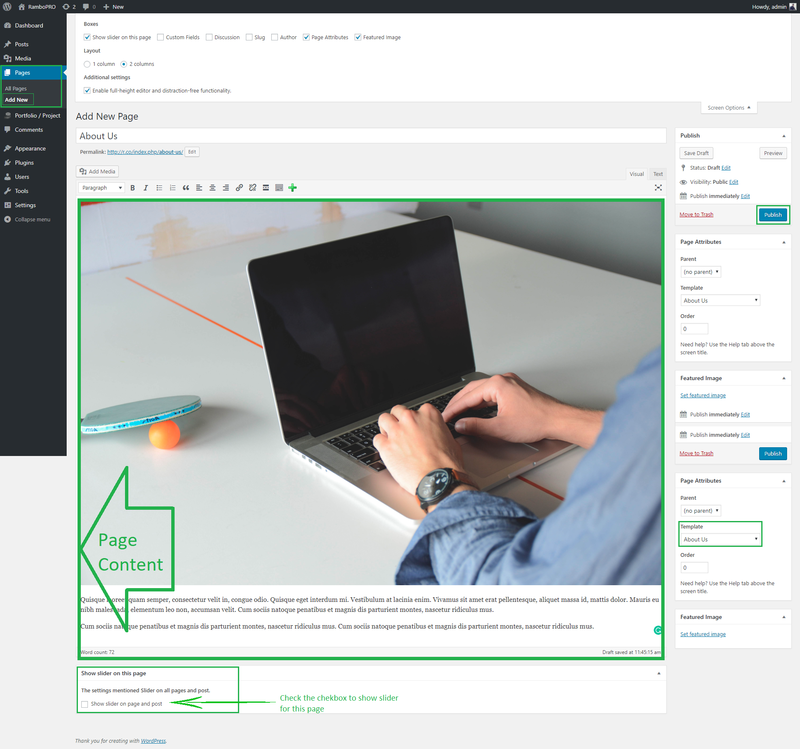 As soon as we assigned & save the page, the Page Content gets also saved automatically. Regarding Template Content, its a group of Team, Testimonial, and Client section. 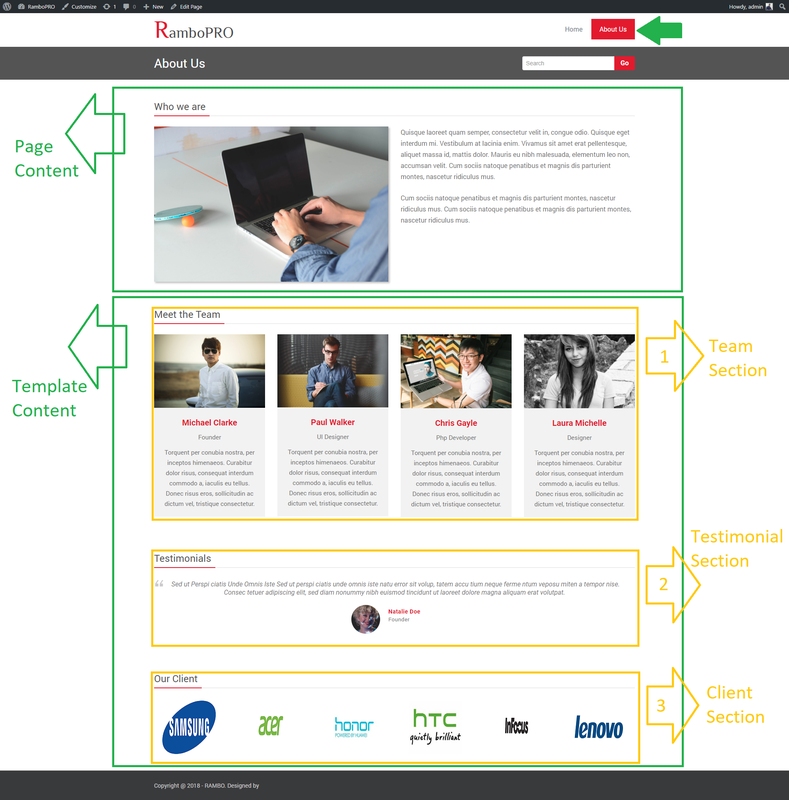 All sections should have saved team members, testimonials, and clients respectively. Otherwise, the respective section will not appear on the front end of the page. You can follow the respective links to add Team Members, Testimonials, and Clients. 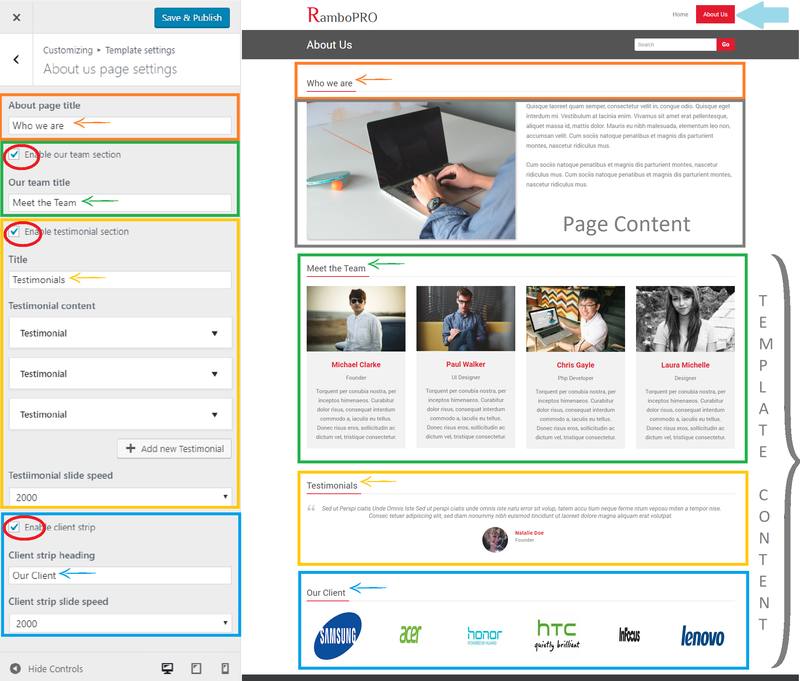 All sections in About us page (Page Content as well as Template Content sections) has the option to set/edit their titles. You can even SHOW/HIDE any of the section from the page, just need to check/uncheck the checkbox of respective sections. Testimonial and Client section especially also has the slider effect and we can set their own sliding speeds.